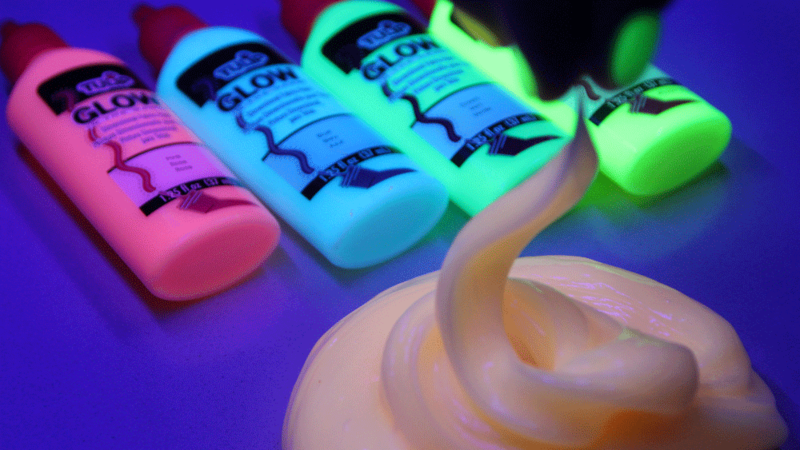 Get your creativity glowing with glow-in-the-dark slime! 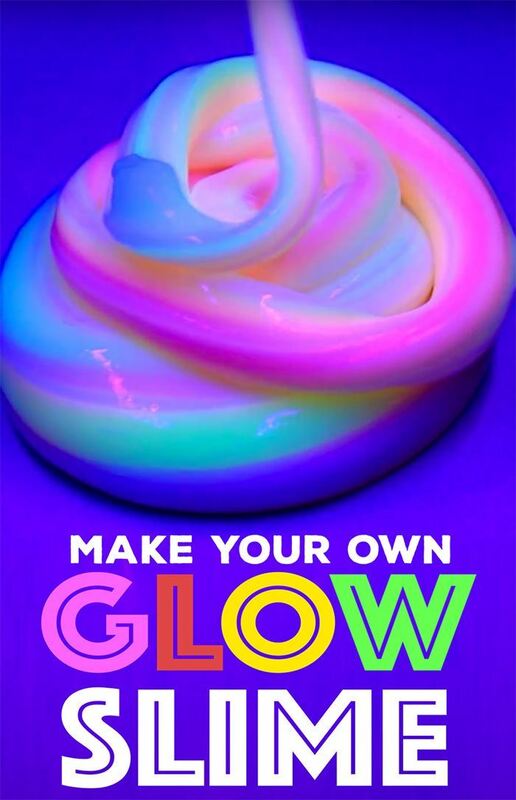 Turn out the lights and turn up the fun with this easy glow slime recipe made with Aleene's Clear Gel Tacky Glue and Tulip Dimensional Glow Paints ... totally nontoxic and totally fun for kids of all ages. In this video, Abbe of Make Me Crafty creates 4 different glow colors, however, you could do as many as you’d like. First, you’ll want to empty and entire 8oz. bottle of Aleene’s Clear Tacky Gel into a bowl. Next you’re going to put in 1 tablespoon of baking soda and mix. After mixing, you’ll add the contact solution and stir. Now the fun part! 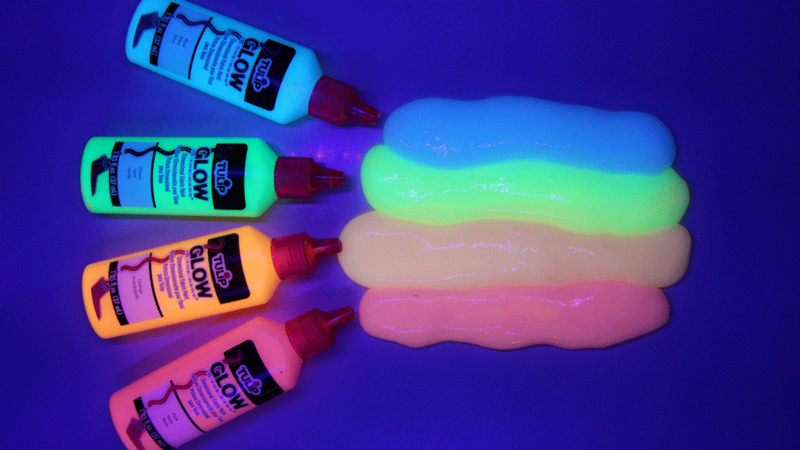 Squeeze the desired glow color of Tulip Dimensional Glow Paint and mix once more. If you want to create other colors, just repeat the steps! Once you have all of your colors done, stretch and lay them out side-by–side. Then join them together and now you have rainbow glow slime! Have fun with it!